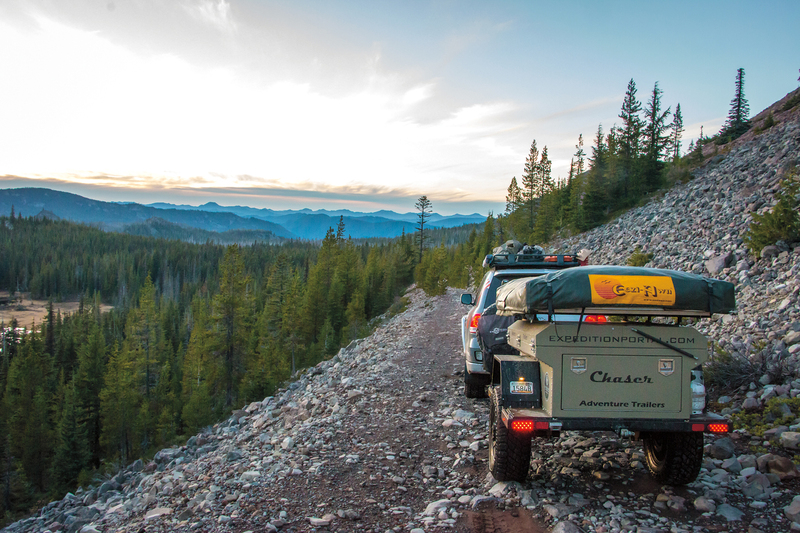 Editor’s Note: This article was originally published in Overland Journal, Spring 2018. A cool wind whistled through the pines around us, and I took a deep breath, filling my lungs with crisp mountain air. We had only left the hustle and bustle of Portland’s streets that morning, but the city’s traffic jams and red lights already seemed a world away. Their constant drone had been replaced by the quiet tunes of nature’s melody, and I tried to appreciate its subtleties while my eyes surveyed the vista before me. Far below, a sea of clouds stretched out toward the horizon, rolling over the forest floor and breaking against the rising terrain like waves on a distant shore. 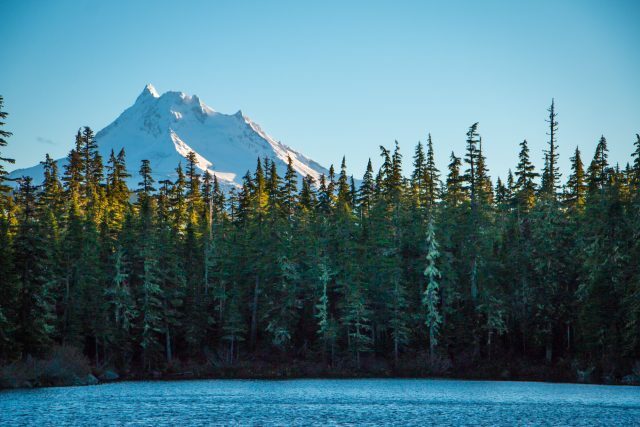 Here and there, splashes of brilliant gold trees dotted the landscape; rising from the center of it all was Mount Hood, its snow-capped peak piercing high into the blue sky above. I leaned back on the grass beside the road and sighed in admiration. This was the Pacific Northwest I had been dreaming of—this was Oregon. The Pacific Northwest is widely known for its beauty, but it seems like many people underestimate the diversity that Oregon has to offer. Within its 98,000 square miles of territory, visitors can explore towering mountain peaks, secluded coastlines, abundant forests, volcanic craters, and even high desert plains, often in the same day. 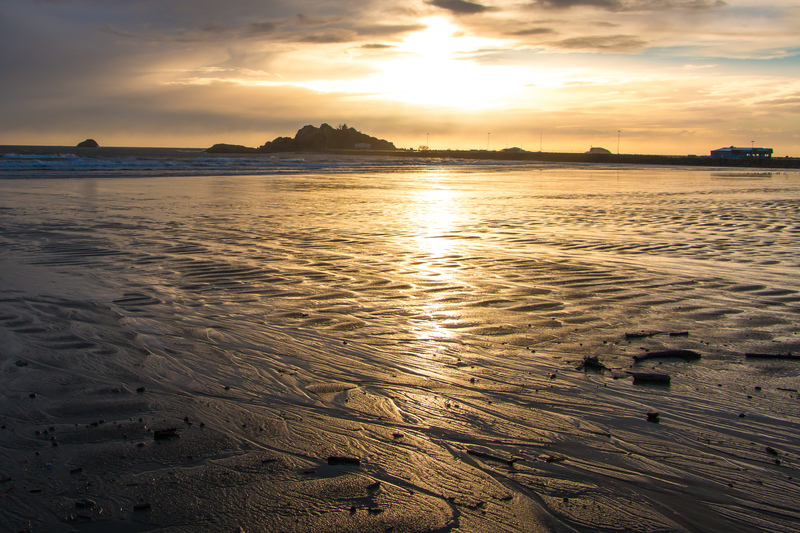 There are also fantastic restaurants, charming towns, local arts districts, and a unique culture that is as important to explore as the state’s natural bounty. Of course, most of us do prefer nature, and Oregon has it in abundance. 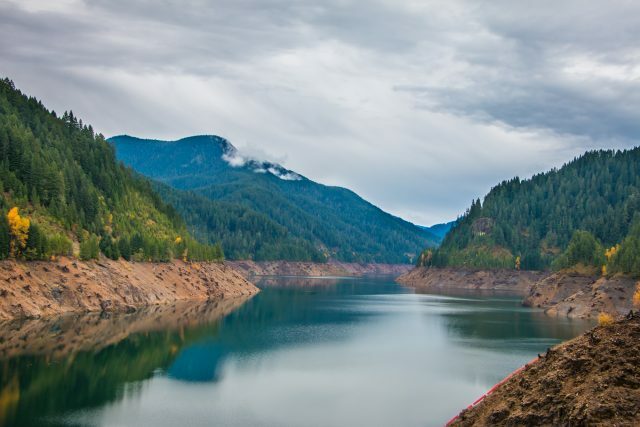 Nearly 50 percent of the state is covered in forests, most of which lie to the west of the Cascade Range. 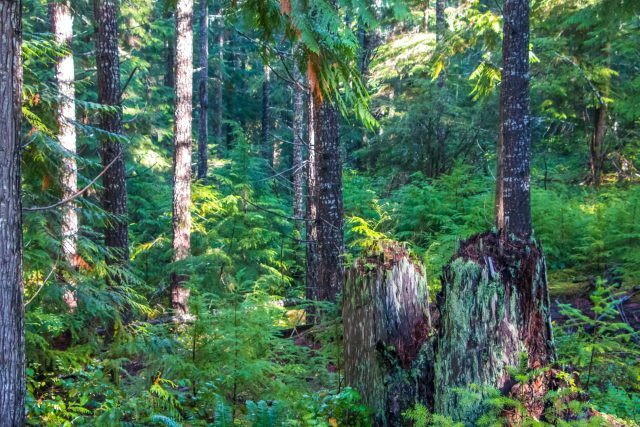 These green expanses are dominated by Douglas fir, the state tree, but also include other types of timber, shrubs, and flowers. Much like in Washington, animals of every shape and size thrive in Oregon’s diverse ecosystems, but it does boast one unique asset over its northern neighbor: a Humongous Fungus called Armillaria ostoyae, the largest living organism on Earth. This giant honey fungus is 2.4 miles wide and covers roughly 2,385 acres of Oregon’s forests, the equivalent of 1,807 football fields. Scientists estimate that it is anywhere from 2,400-8,650 years old, which would also make it one of the most ancient organisms in existence. Despite its age and size, this mushroom is still growing and is just one of the many amazing things you’ll find in the state’s backcountry. 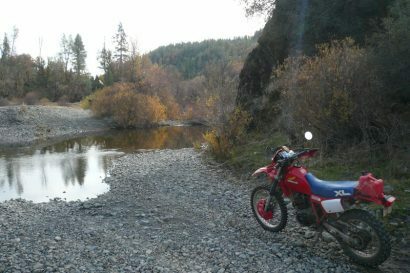 This portion of the Pacific Crest Overland Route (PCOR) begins where the Washington section ends, along the lush banks of the Columbia in Hood River, Oregon. 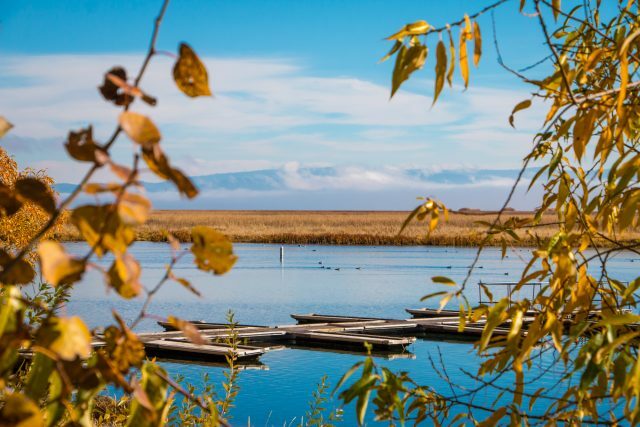 This city of 7,000 has been rated as one of the best paddling towns in North America and is surrounded by opportunities for rock climbing, biking, fishing, and of course, camping. Unfortunately, the weather can often be wet and dreary, which is the perfect time to visit one of their local coffee shops, restaurants, or breweries. 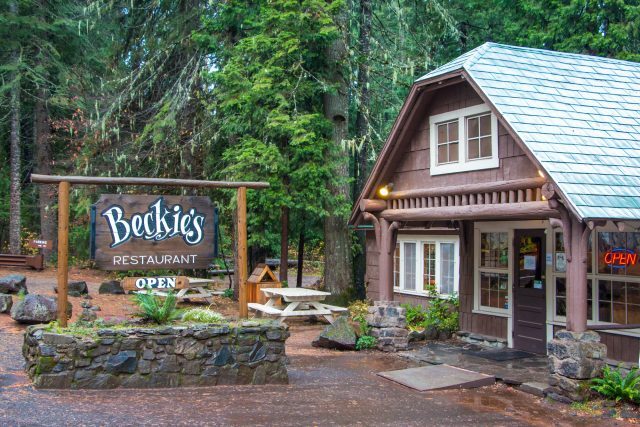 Once you’re ready to head out toward the backcountry, make your way south on Highway 35 into the surrounding countryside. 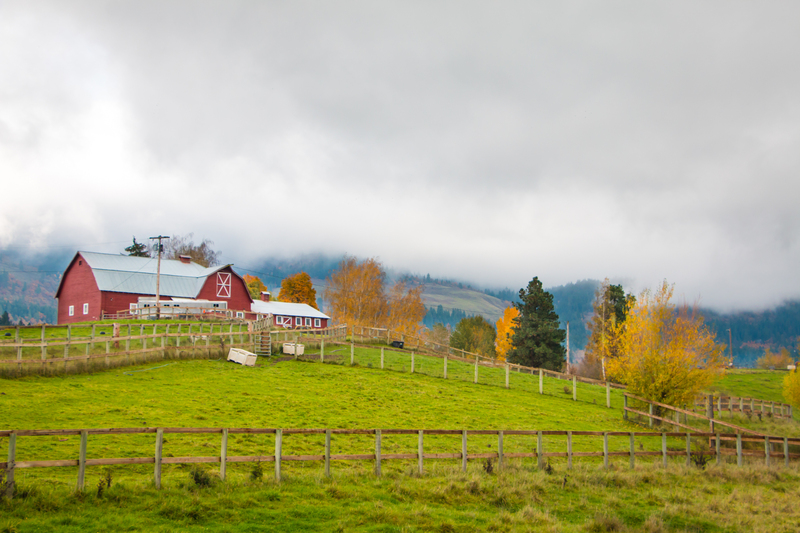 As the road winds its way past small farms and homes, you begin to get a taste of Oregon’s charm for the first time. There are red barns perched atop rolling green hills, small streams running through fields, and colors so vibrant you’d swear someone had painted every leaf and blade of grass that morning. Just when you think things couldn’t get any more picturesque, they do. The pavement runs out, and the trail begins a steep ascent into the clouds. For a few minutes, the world disappears beneath a dense veil of white, muffling all sound, giving the eerie sensation that you’re completely and utterly alone. Eventually, thin golden rays of light begin to filter through the mist, and you suddenly burst into the clear air above the fog, revealing Mount Hood’s icy crown in the distance. If you only stop one time to take in a view on this entire trip, it should be here. The scale is staggering, and if you witness it under the right conditions, there are few vistas in the world that can match its allure. 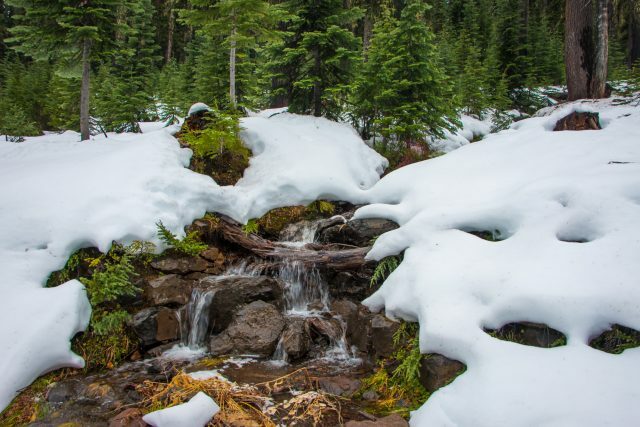 From there you’ll travel toward the base of Mount Hood, where the trail dives deep into the woods and begins to narrow with vegetation. 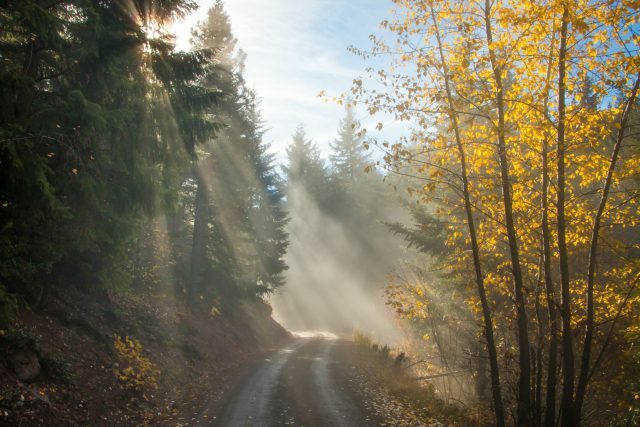 The longer you drive, the thicker it gets, and you’ll soon feel like every shrub and tree in Oregon has converged upon the road to block your path. 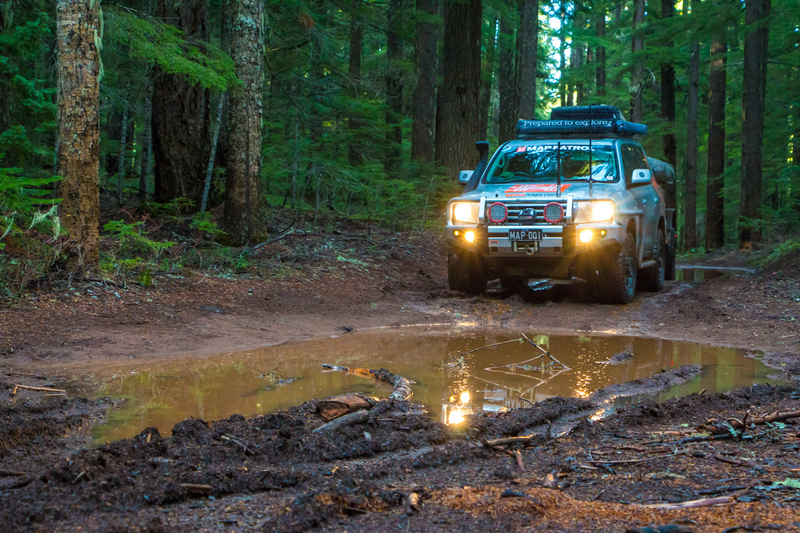 You will likely find yourself out of the vehicle clearing branches, and may even need to move a fallen tree. Of course, this only makes the widened paths and peaceful lakeside camps waiting on the other side all the sweeter. There are even a few cabin getaways and “resorts” along the way. For the next 230 miles of the trip, the track dances along the spines of the Cascades, swerving back and forth between peaks and valleys. As the miles tick by, the roads get easier, and the state continues to present one glorious view after another. Countless waterfalls paint cliffsides in thin veils of mist, cold, dark lakes reflect images of the foggy valleys around them, and mountaintops burst forth from the sea of trees. 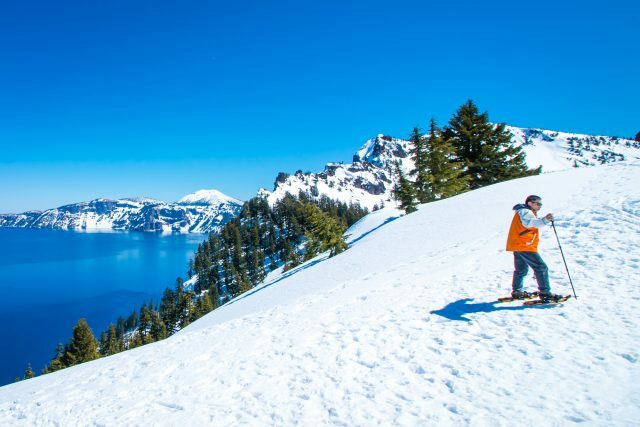 It’s a stunning journey, and it will deliver you to the outskirts of Oregon’s only national park, Crater Lake. 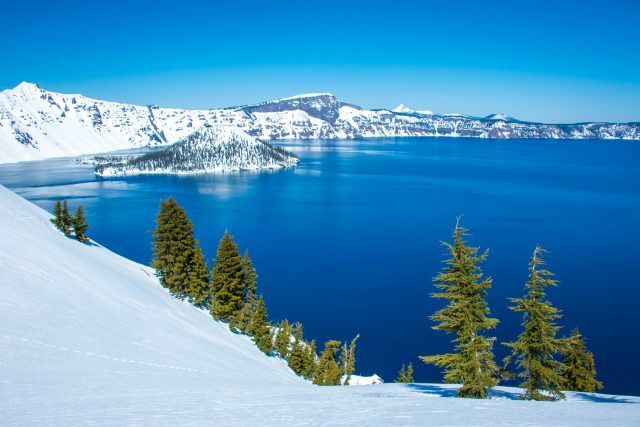 At 1,943 feet deep, Crater is the deepest lake in the United States and widely considered to be the purest in the world. Its isolation inside a volcanic caldera has ensured its preservation over thousands of years, and an exclusive, steady replenishment of its water supply by rain and snowmelt will likely help it endure for thousands more. Yet most people don’t recognize this lake for its purity, but for its beauty. Crater’s deep sapphire waters are legendary, and the high cliff walls surrounding them act as a visual barrier, dividing the stunning blue of the water from that of the sky. If you reach the park in the summer months you’ll find camping, biking, hiking, swimming, and a wide array of other activities to enjoy. 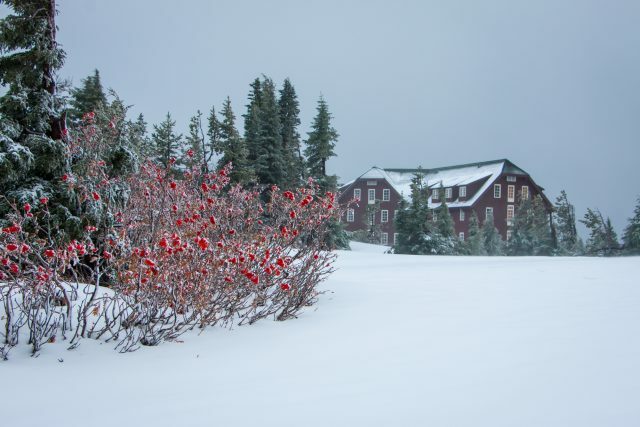 If you arrive when there is snow on the ground, options are more limited, but there is still plenty to see and do—try snowshoeing around the rim. 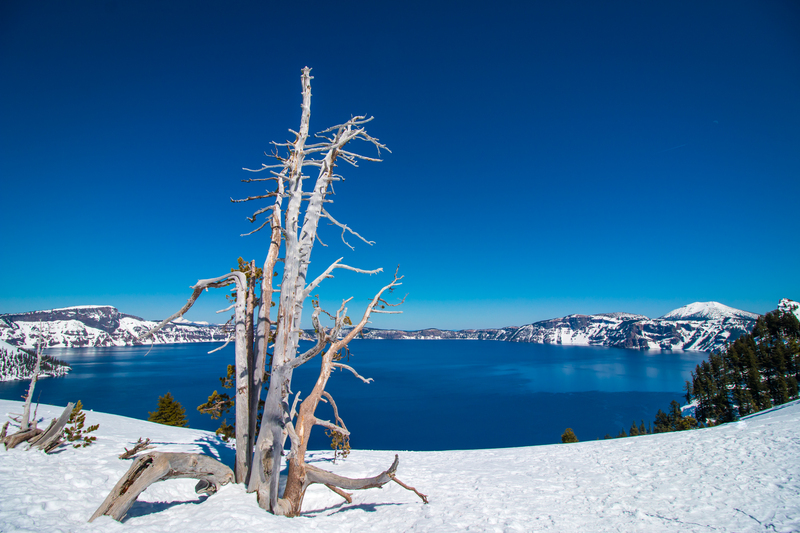 Crater Lake is at its best when the brilliant blue water is backed by pure white snow. The road south of the park marks the final stretch of the Oregon segment of the PCOR. It’s mostly paved, but a beautiful drive nonetheless, passing quiet farmland backed by mountains and the shores of Klamath Lake. 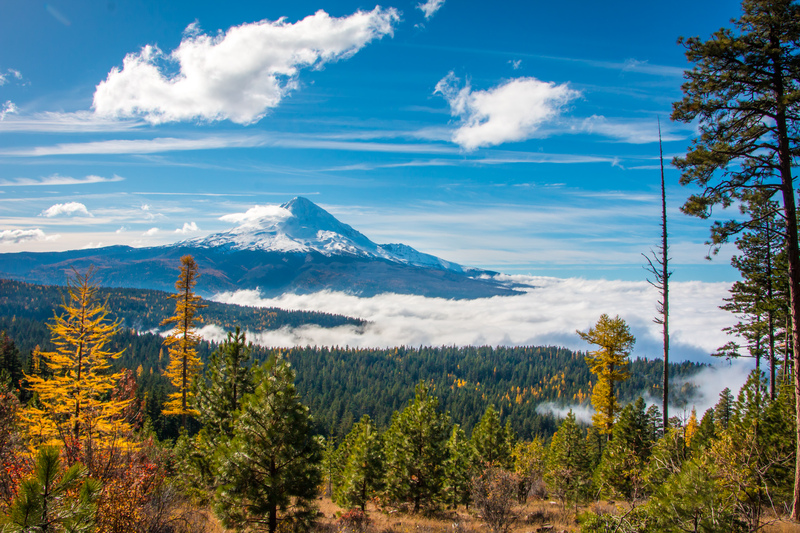 When the silhouette of Mount Shasta rises in the distance, you’ll know that you’ve made it to California’s northern border, and a new adventure lies ahead. From Oak Street in Hood River, Oregon, head east until joining State Street, then turn left to continue east toward Highway 35. Merge onto 35 South and then proceed on the route. From the intersection of Highway 161 and Highway 97 south of the California/Oregon border, head north on Highway 97. Take the exit for Keno Worden Road, then continue on the route. 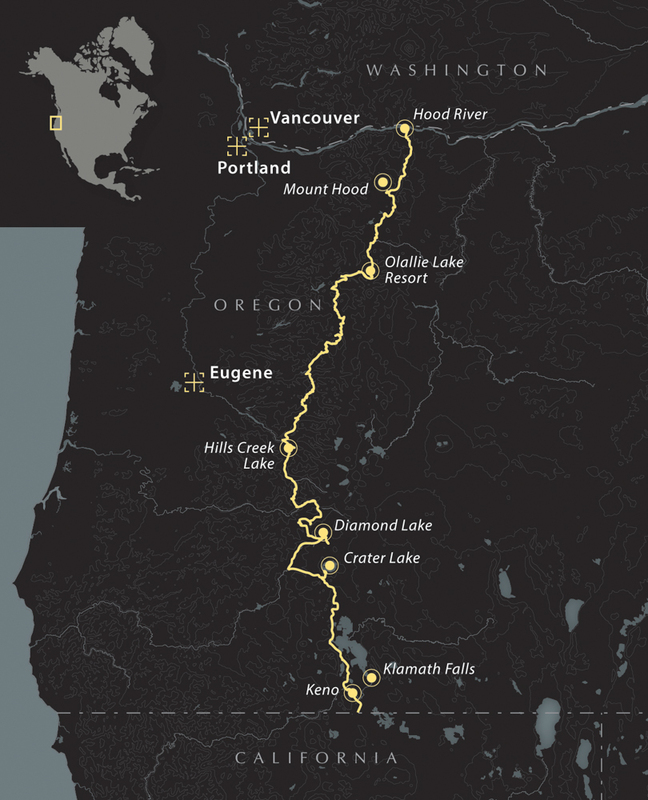 The vast majority of the Oregon portion of the PCOR is easy. However, long distances, muddy or snowy trails, and downed trees can cause challenges. Drivers should be sure to check road conditions before the trip and bring proper recovery gear and saws. 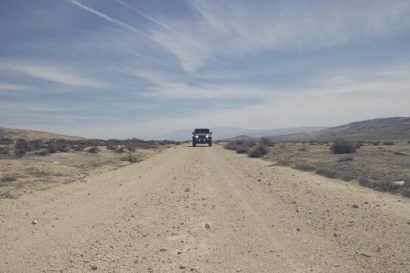 Summer and early fall will be the best times to drive this trail. Temperatures will be moderate and enjoyable during these seasons, and fall offers stunning colors from changing foliage. Many portions of this track are closed upon the first snowfall, and many campsites are seasonal, so be sure to plan ahead. 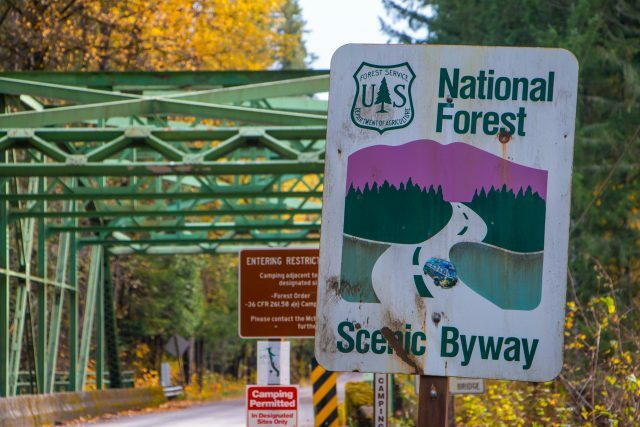 Because much of the PCOR traverses public roads and trails, no fees are required for the trip. 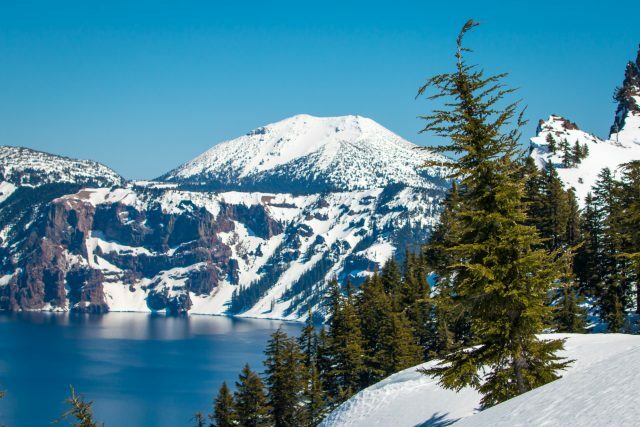 However, travelers wanting to visit Crater Lake National Park or Mount Hood will need to pay the applicable park fees. 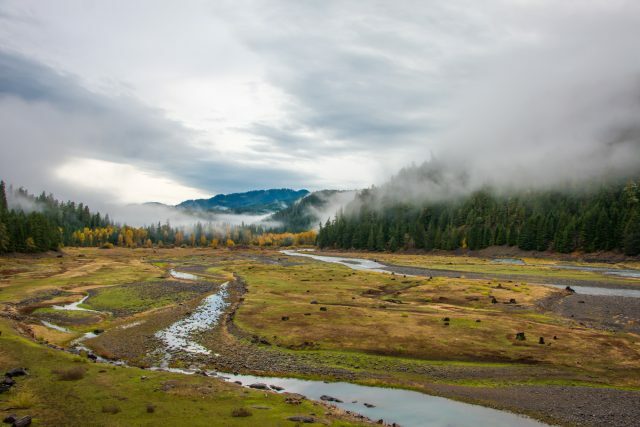 There are simply too many dispersed and maintained campsites spread across the state of Oregon for us to just pick a handful, so instead, we suggest referencing the Oregon State Parks website at oregonstateparks.org. We recommend the Benchmark Maps Oregon Atlas, as well as researching the Oregon State Park site and traveloregon.com. Our route samples only a small portion of this state’s offerings, so these tools will help tailor the trip to your interests. As always, our team’s GPS track and points of interest are available through the Hema Explorer Cloud cloud.hemaexplorer.com/public/DiSock-1VE3UGvfn3-USabg3wo/. Overland Route descriptions are intended to be an overview of the trail rather than turn-by-turn instructions. We suggest you download the Hema Explorer app and Cloud GPS track, as well as source detailed paper maps as an analog backup. 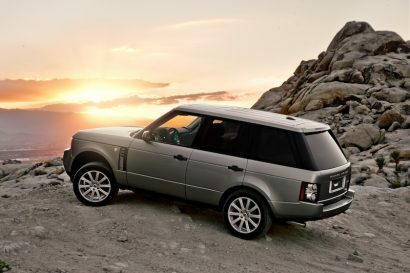 As with any remote travel, circumstances can change dramatically. Drivers should check road conditions with local authorities before attempting the route and be ready to turn back should extreme conditions occur.